Traversing the city during the wintertime is no easy feat. Slush and ice on concrete sidewalks can make for a slippery walking surface that require constant attention from pedestrians. There is also the risk of falling ice and snow from skyscrapers towering above. 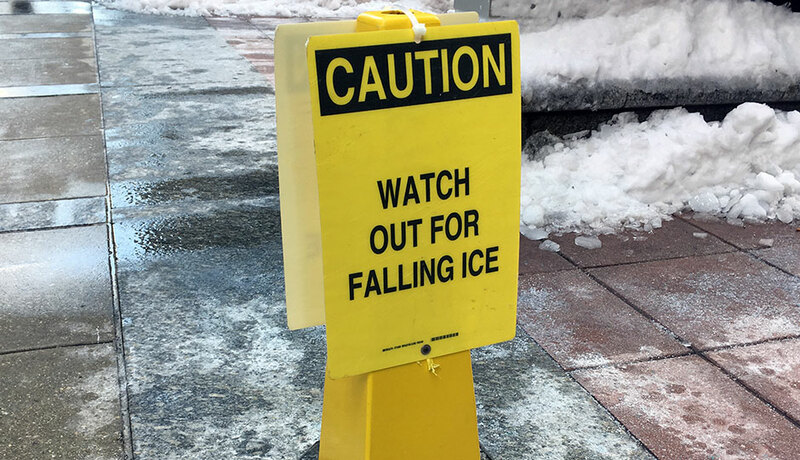 Some recent innovations in the area of environmental awareness and efficiency have, ironically, lead to more dangerous conditions for falling ice and snow. A 2012 paper published in the International Journal on Tall Buildings and Urban Habitat considered the causes and potential solutions for ice falling from skyscrapers in northern regions. As buildings are becoming more energy-efficient, they release less heat, and thus have colder exterior surfaces. This can lead to greater build up of ice and snow on the roof and façade of buildings.